The oil price has recovered slightly after earlier falling below $28 a barrel, as Opec predicts crude will mount a recovery this year. Brent crude, used as an international benchmark, fell as low as $27.67 a barrel, its lowest since 2003, before recovering to trade at $28.86. 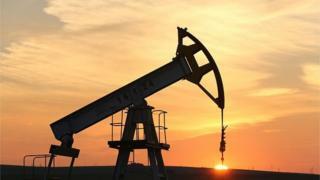 The price of US crude was $29.65 a barrel after hitting $28.36. Investors fear the lifting of Western sanctions on Iran could worsen the existing oversupply problem. Iran's deputy oil minister Roknoddin Javadi has expressed confidence the country can produce an extra 500,000 barrels per day. Phillip Futures analyst Daniel Ang said the earlier price drop was due to concerns about Iran. "This means we will be seeing a bigger oil glut with Iranian crude exports coming back to the market," he said. However, oil producers' group Opec said in its January market report that it expected to see the price of crude begin a rebalancing process in 2016. The group forecast that in the next six months non-Opec members would be unable to sustain production because of the continuing low oil price. The decision to lift the sanctions against Iran came on Sunday after the international nuclear watchdog, the IAEA, said Iran had complied with a deal designed to prevent it developing nuclear weapons. Iran has the fourth largest proven oil reserves in the world, according to the US Energy Information Agency and any additional oil would add to the one million barrels a day of over-supply that has led to a more than 70% collapse in oil prices since the middle of 2014. Analysts said Iran already had quite a lot of oil ready to sell. "Iran has quite a large storage of oil at the moment. They are in a position to sell that if they choose to do so and increase supply quite quickly," said Ric Spooner, chief market analyst at CMC Markets. Historically, Opec has cut production to support prices. But led by Saudi Arabia, by far the group's most powerful member, the group has resolutely refused to trim supply this time. Analysts expect supply to continue to outstrip demand over the next two years, which would keep prices low. HSBC chief executive Stuart Gulliver said that he expected the price of oil to settle at between $25 and $40 in one year's time. "Major producers are currently delivering 2-2.5 million barrels per day more than demand, so the question is how long they can continue to overproduce for at that level," he said, speaking at the Asia Financial Forum in Hong Kong.